Dr. Scott Delaplain DDS - Matrix Dental Group - Arnold, Missouri. Dr. Delaplain is originally from the St. Louis area. He graduated from St. Mary's University of Minnesota in 1987 then Loyola University of Chicago School of Dentistry in 1991. Following graduation Dr. Delaplain moved back to the area and began his dental practice in Arnold in the fall of 1991. During his spare time he enjoys golf, traveling and home remodeling projects. He and his wife have two daughters. Laura Quinn RDH has been practicing dental hygiene as a member of our staff since 2005. She currently provides routine cleanings, necessary x-rays, periodontal therapies with and without anesthesia, bleaching services and treatment consultations including cosmetic therapies. Tina O'Connor RDH has been providing dental hygiene services as a member of our staff since 2015. She is currently providing routine cleanings, necessary x-rays, periodontal therapies, bleaching services and consultations regarding treatment. Responsibilities Dental hygiene, providing routine cleanings, necessary x-rays, periodontal therapies, bleaching services and consultations regarding treatment. Jennifer comes to our office bringing many years of experience in the dental field. She works as a chair-side dental assistant helping the doctor perform a variety of procedures. She is also in charge of preparing the treatment rooms for procedures, cleaning and sterilizing equipment,greeting and seating patients, and helping out at the front desk. She is a very caring individual who goes out of her way to make patients feel welcome and comfortable. 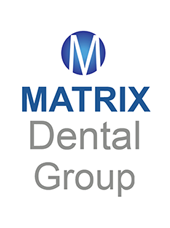 Katie Roberts has been with Matrix Dental Group since 2000. Over that time she has served as a clinical assistant as well various capacities at the front desk. She currently handles most scheduling, insurance coordination and financial arrangements. Alicia Metzger has been a clinical assistant working with Dr Delaplain in treating patients since 2008. In addition to working chairside she spends some time working with patients at the front desk coordinating scheduling and checking out following procedures. She is also available to provide treatment consultations as well as instructions following treatment. Katie Roberts has been a member of our staff since 2000. Over that time she has served as a clinical assistant as well various capacities at the front desk. She currently handles most scheduling, insurance coordination and financial arrangements.